Outsourcing for enterprises has become a global phenomenon. 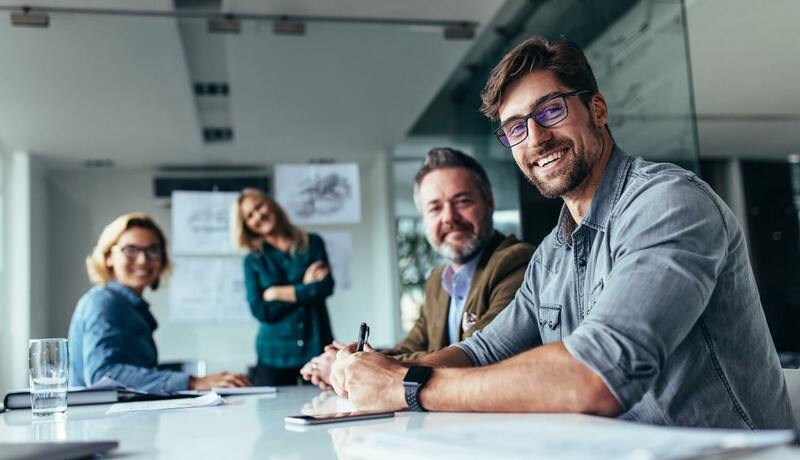 Boasting more than 70% rate of client satisfaction around the world, this strategy is slowly becoming a popular recipe for success by many companies regardless of their business structure. To a majority of business owners, the primary reason for outsourcing is to cut on operational costs. But to some CEOs, it goes beyond saving money. For one, external service providers help businesses gain access to a pool of qualified professionals who are in shortage in their home country. The continuous advancement of technology by outsourcing companies makes it easier for their clients to easily and quickly expand without risking business continuity. With the said benefits, it is no wonder why companies consider this strategy vital to support their core processes. If you are an owner of an enterprise and planning to outsource, you should focus on your core competence. The more time and energy you invest in your most vital processes, the closer you get to meet your goals. Having an outsourcing partner who has the same values as you do will help you get there. The Philippines has been outsourcing for over 2 decades serving major brands such as Amazon, Macy’s, Microsoft, PayPal just to name a few. Companies are now getting more used to outsourcing processes which goes beyond customer service, as they see the quality and talent pool that the Philippines offer. With over 500 outsourcing service providers in the Philippines alone, it’s no wonder that enterprise outsourcing is steadily growing. Working with an outsourcing firm provides your company with access to well-trained and highly-skilled workers. They have years of experience dealing with different businesses and have prepared the right systems and processes in place. Business owners know the importance of providing excellent customer service in order to convert sales and retain clients. Some business processes are repetitive in nature and are best outsourced to experienced teams working in the Philippines. Customer service, bookkeeping, content development, these are just some of the things that can be outsourced to the Philippines. Running an enterprise involves a lot of deadlines especially when it comes to closing deals with buyers or investors. This mostly involves back-office roles such as order processing and customer service, and is a common practice in the logistics and F&B businesses. Besides physically outsourcing manufacturing, a lot of logistics and coordination between buyer and supplier is usually handled by an outsourced team. Services that involve door to door visits are best organized and processed by an outsourced team in the Philippines. Telecommunications industry outsource a lot of their customer service processes to be able to deal with the volume of calls they get daily. Legal processes that involves little to no face-to-face interaction, such as legal document writing, case review and editing, data entry, and patent services can be outsourced. Other functions that are outsourced include customer support, data entry, inbox management, social media marketing, research, technical support, human resources and payroll. Government-operated companies benefit a lot from the huge cost savings that outsourcing brings along with the high level of communication skills that Filipinos have. With an abundant supply of talented and skilled resources in the Philippines, Governments tend to outsource back-office jobs within their structure. While administrative costs keep rising, revenues decline due to increased competition in the space. Even established institutions look for new ways to keep their business growing. Technology-driven outsourcing enables scalable lead generation and keep their prospects constantly engaged, along with outsourcing administrative functions. These are essential non-client facing support positions that should be outsourced to be able to focus on revenue generating activities instead. These can include HR, recruitment, accounting, logistics officer, data processing, etc. Enterprises will be able to make huge savings by outsourcing these functions. Customer service plays a vital role in an enterprise as it makes clients feel happy and satisfied every time they interact with your company. They can answer inquiries through different channels, such as voice, email, chat or social media. With salaries as low as $500, this is a win-win for the enterprise. Accountants process your payables, receivables and consolidating of invoices to make sure you get paid correctly and promptly. Outsourcing finance and accounting also serves as quality-control, ensuring that all transactions done are correct and completed on time. A recruitment specialist helps filter the available talent, allowing you or your HR manager to conduct the final interview. You save time on having to go through everyone and rely on specialists to find the right talent for your enterprise. Digital marketing includes SEO, SEM and paid advertising. These are activities best outsourced to specialists. By outsourcing these tasks, your marketing team will have more time to develop new ideas for innovative promotional campaigns. It’s becoming popular to outsource software developers to the Philippines, as they are skilled with the programming languages available in the market. Keeping the project lead in-house means there will be clear coordination between the two companies to achieve the project timeline. Fast-tracked outsourcing expertise, analysis & integration for your business. Convergys is a leading global firm specializing in customer service outsourcing. It combines analytics, operational excellence and innovation to provide a great experience to customers and businesses. Read more about Convergys here. Accenture is the world leader in technology, consulting, and outsourcing. They have 400,000 employees worldwide, of which 45,000 are based in the Philippines. Call centers, the traditional face of outsourcing, have given way to contact centers delivering high-value services. As a result, Accenture longer uses the word outsourcing. It now focuses on strategy, digital, technology, and operations. Read more about Accenture here. Sutherland is the leading service provider for process transformations. The company believes in applying the Six-Sigma based methodologies to its processes. Sutherlands is headquartered in New York, and has various offices across the world. With a staff of 38000 people, serving more than 120 clients, the company has been able to serve various industry verticals. Read more about Sutherland here. One of the world's leading leisure travel groups with sales of over £8.5 billion and more than 22 million customers in 2014. With over 847 retail outlets and 31 aircraft. Within 16 months of outsourcing, Back office costs were reduced by more than 30% in the first 18 months and has achieved the lowest cost model in the industry. Truck leasing and logistics equipment company providing services to US, Canada, Mexico, Europe, Brazil and China with over 24,000 workforce strength. With outsourcing, they were able to save around $20 million annually. Bad debt expense reduction of approximately $10 million annually. The oldest publicly funded university and is made up of four schools. Attended by over 12,000 students with a faculty workforce of about 950. Outsourcing has enabled them to update their records management that goes back to about 100 years with an estimated 3 million pages. Reducing manpower requirement by outsourcing. Canada's largest telecommunications company, providing mobile phone, TV, high-speed and wireless internet, and residential home phone services with over 55,000 workforce strength. Outsourcing work was about managing procurement processing of new inventory with the use of SAP enterprise portal leading to $6 million of surplus material that was processed. Founded in 1878 and is the oldest college daily newspaper published in the USA. With close to 200 employees and generating about $800k annual revenue. Outsourcing project involved converting about 135,000 pages to digital and resulted into a fully indexed online version that attracted more readers to their platform. Providing pay television, telecom and internet access to businesses and consumers in United Kingdom. With over 2,000 workforce strength and annual revenue of £1.8 million. Outsourcing has improved the customer retention rates within complaints management and has increased customer satisfaction by 10% points. 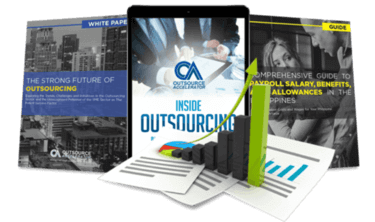 Get up to speed in outsourcing with this comprehensive tool kit.